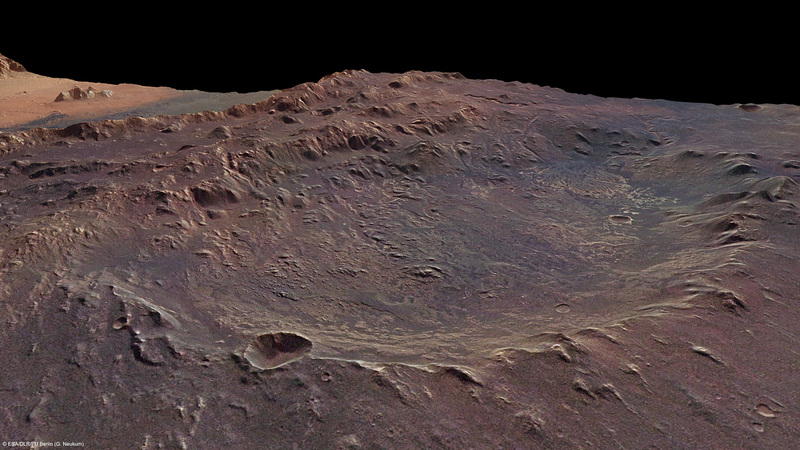 The remains of a delta have been found within this Martian crater. 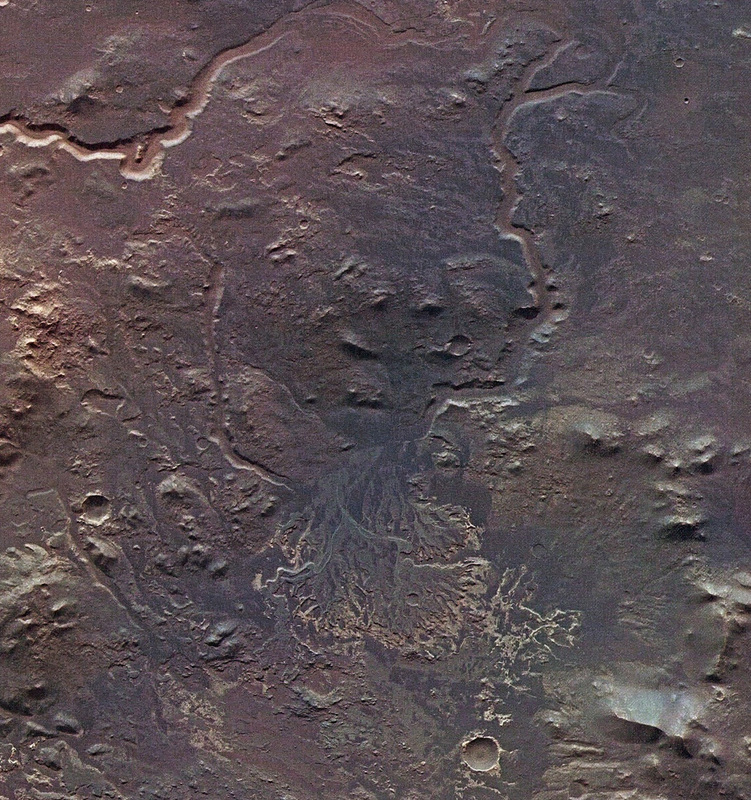 ESA’s Mars Express orbiter has imaged yet more evidence of a watery past on Mars with what appears to be the remains of a river delta, seen here, located just within the 40-mile (65-km) -wide Eberswalde Crater. Formed over 3.7 billion years ago, Eberswalde Crater was in the top 4 list of possible landing sites for the Mars Science Laboratory, slated to launch this November. In the end Gale Crater was selected, but Eberswalde is still a fascinating place to study from orbit since it’s been suspected that the crater was once filled with liquid water. The discovery of this delta sure helps to confirm that theory! The delta covers an area of about 70 square miles (115 sq. km) inside the northwestern edge of the crater. Feeder channels can be seen near the top of the image, which would have filled the crater with water and sediments. What we are seeing now is, in effect, a “cast” of the original delta. Sediments that were laid down by water were later covered up by wind-deposited sediments, which were then gradually eroded away. The crater Eberswalde itself only has an intact rim on one side, its other half having been covered by the later formation of the nearby, much larger Holden crater. Read more about this on the ESA Mars Express site here, and check out a cool 3D perspective image of Eberswalde here. Next Post Oh What a Relief it Is!